The current week should have seen the topping of the 20+ TDs cycle. 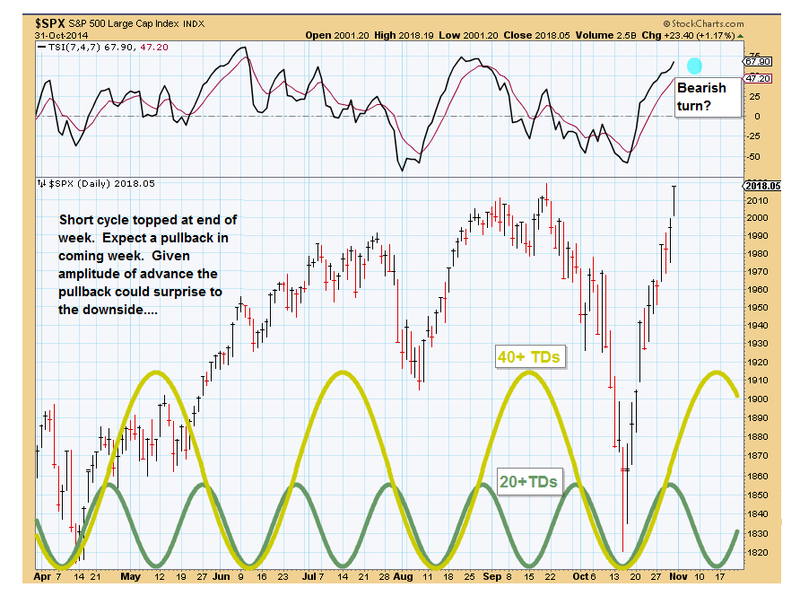 If we get a right translated top (past cycle midpoint) we could see slightly higher highs on S&P early in the week. but expect a top no later than Tuesday even in that case. Bought some RWM on Friday, 2 cent per share loss at close. 11/4 update at the close: So far volatility less than expected, but appears top forming.